Time management is a really hot topic among freelancers so in today’s video I’ll outline a few key benefits of time tracking. I use Toggl for that purpose but there are quite a few apps out there. Try several tools and choose the best to your liking. 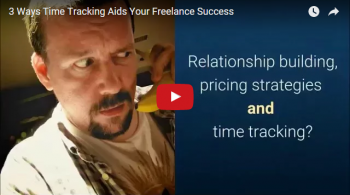 Watch the video or read the transcript below to learn three ways how time tracking will aid your freelance success. Many people come to me saying they don’t have a ‘freelance profession’ or they don’t know what freelance services they can offer to clients. Often they are stuck at this early stage because they put too much pressure on themselves, thinking there’s some kind of magic going on when working as a freelancer. Let me tell you – whatever your profession is, what you do for a living and what services you offer wouldn’t change much whether you are working as an employee or as a freelancer. The new angel of being a freelancer is that you will have to manage your practice. No boss will tell you what to do – you will have to wear all hats in the office – a marketer, an accountant, a customer service agent, everything that has to do with your business smooth operations. 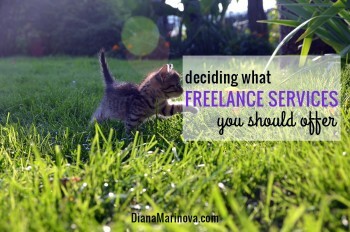 But this won’t change the certain skills you use to offer professional services to clients. As a freelancer, you know how important good time management skills are for your success. I hope by now you have put into practice the time management tips I have shared across the blog. 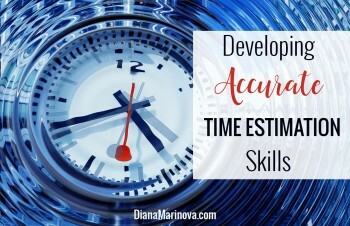 Today I’ll lift the veil on another side of time management – why accurate time estimation matters for your freelance success and more importantly, how to develop the needed skills. First off, let’s define what time estimation is. 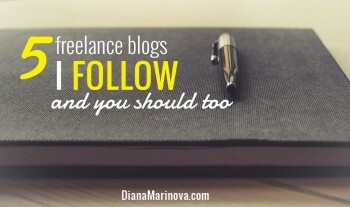 If you are a regular reader of my blog, chances are, you’ll find interesting some of the freelance blogs that I read. 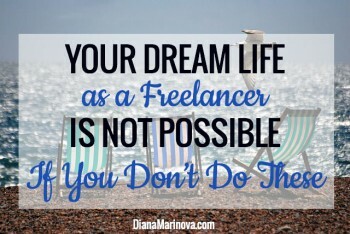 I have to admit some of them I don’t visit as often as I’d like but nevertheless, all of them would help you hone your freelancing skills, no matter your profession. Enjoy! 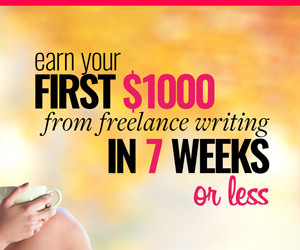 The freelance lifestyle looks pretty fun and easy from the outside, doesn’t it? You wake up when you want, you work from wherever and whenever you please, you travel a lot or spend time on hobbies more than any of your friends, you have plenty of money to secure your financial future and satisfy every crazy idea or craving you have, a dream life really. But what many starting freelancers or outsiders don’t know is that achieving and maintaining such a lifestyle takes good organization and hard work! Here are five things you should do to truly live your dream life as you wish.